Indulge in a thrilling dive experience by signing up for a single day scuba diving trip to Tulamben, Bali. You will undertake a practice session in a swimming pool where you will learn to use your diving gear. In a day, you will complete two dives from the shore of Tulamben beach. Being a shore dive, the dives are easy and recommended for beginners. A certified instructor will guide you throughout your dives. After completing your dives, you will receive a PADI certificate and you can use the credits towards your scuba course, if you choose to pursue it. 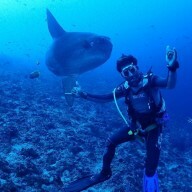 NOTE: This Discover Scuba Diving trip at Tulamben, Bali can be undertaken by non-swimmers as well. Tulamben, a small fishing village on the coast of Bali, pulls in scuba divers from all over the world with the famous shipwreck of USAT Liberty, a sunken cargo ship that is accessible even to beginner scuba divers and snorkellers. Another popular dive site is the Coral Garden, aptly named for sprawling corals decorated by statues of the Buddha placed all over the dive sites by local natives. These dive sites in the Bali sea host an aquarium full of marine life from parrotfish to ghost pipefish. • Complete your first open water dive in the Bali sea. • Enjoy the underwater views with excellent visibility. • Swim with ease in zero water current. 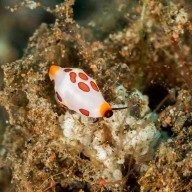 • See variety of corals and fishes in the Coral Garden or other dive sites. You will have to sign an indemnity form before starting the Discover Scuba Diving in Bali. You'll be picked up from your hotel in Sanur, Kuta, Seminyak or Nusa Dua for this Bali scuba diving trip. Travellers are responsible for their own belongings and the operator will not be responsible for any loss or damage during scuba diving in Bali. You are required to sign the PADI health and liability release form prior to diving. Go scuba diving in Tulamben, Bali! Your pick-up will arrive to take you to the dive centre in the morning. You'll be heading on a short drive to the dive centre in Sanur, where you will learn the basics of scuba diving. The journey from the dive centre to Tulamben on a car is approximately 2 hours and 30 minutes long, but the drive is comfortable and full of scenic beauty. 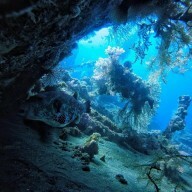 Over the course of the day, you will complete two open water dives from the shore of Tulamben beach. An appetizing lunch with snacks will be served in between your dives. You'll head back to your dive centre in Sanur by 16:00 hrs. Your trip ends here. Take a plunge from the boat. Pick-up time is approximately 07:00 hrs, depending on the location of your hotel. Today's meal package includes lunch, served between the two open water dives. Drop-off time is approximately 16:00 hrs, depending on the location of your hotel.